MANCHESTER — Early team news ahead of the English Premier League clash between runaway leaders Manchester City and Leicester City at Etihad Stadium on Saturday. Watch live coverage on Sky Sports Premier League (UK) and NBC (USA), starting at 12:30 pm ET. Live streaming will be available at NBCSports.com. Riyad Mahrez, who went missing from training after failing to force through a transfer move to the Citizens on Deadline Day, rejoined the squad on Friday and reportedly traveled with the Foxes for the game. However, despite making himself available to play, the winger is expected to miss his third successive match after he also missed games against Everton and Swansea. Meanwhile, forward Shinji Okazaki will miss the game with a knee injury that could sideline him for up to three weeks. 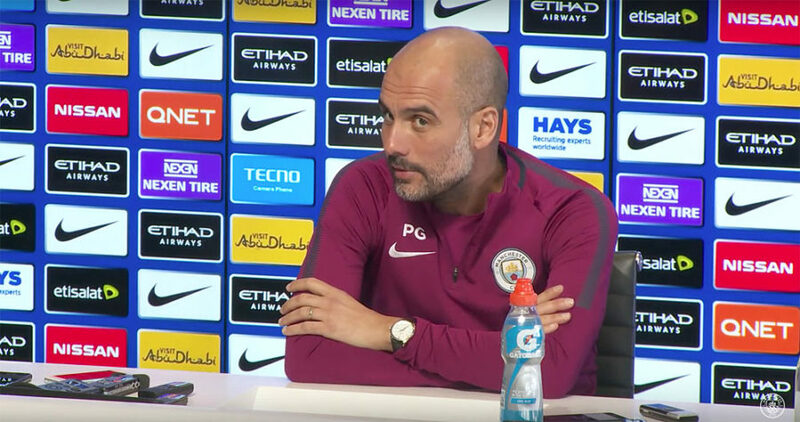 Manchester City manager Pep Guardiola at his press conference. Form Manchester City, center-back John Stones is available again after the England international missed City’s last two games due to illness and a minor knee injury. 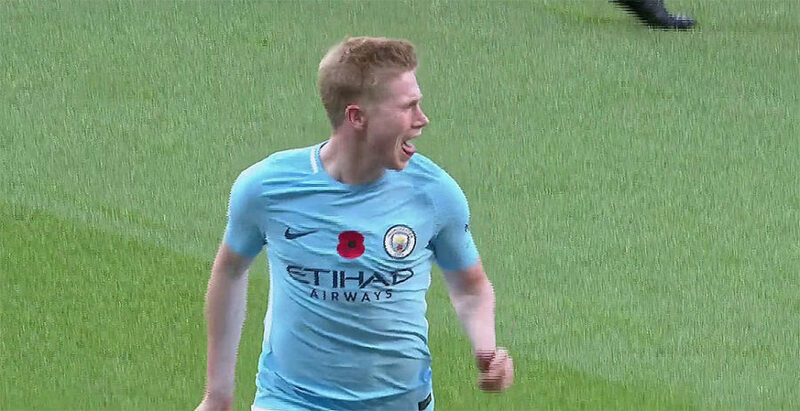 However, left-backs Benjamin Mendy and Fabian Delph (both knee) playmaker David Silva (hip), winger Leroy Sane (ankle), striker Gabriel Jesus (knee) are still out. Manchester City are 13 points ahead of second place Manchester United in the English Premier League standings. Leicester City are sitting eighth on 35 points, but could up to seventh and replace Burnley of The Clarets fail to beat Swansea City in their game. Manchester City (squad): Ederson, Bravo, Walker, Stones, Otamendi, Laporte, Kompany, Danilo, Zinchencko, Toure, Gundogan, Fernandinho, Foden, Diaz, Sterling, De Bruyne, B Silva, Aguero. Leicester City (squad): Schmeichel, Hamer, Jakupovic, Maguire, Huth, Fuchs, Simpson, Chilwell, Benalouane, Dragovic, James, Albrighton, Amartey, Gray, Silva, Ndidi, Iborra, Choudhury, Mahrez, Vardy, Iheanacho, Diabate.